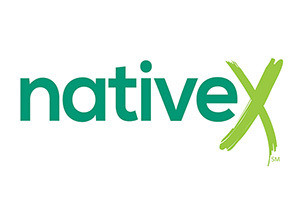 Marketing technology company NativeX has announced the launch of its global native ad exchange, designed to best monetize free-to-play mobile games. The exchange was created to maximize ad revenue for both reward-based and non reward-based ad campaigns, across video ads and interstitials, among others. The platform allows developers to define their own contextual ad formats, based on the user experience they’re looking to achieve. Developers and publishers can add their own game elements and characters to these native ads, and target them at users based on specific triggers. For instance, in a lives-based game, users could be prompted to view an ad for free lives, rather than waiting for them to recharge automatically over time, or asking the player to purchase the lives with real money. After creation, these native ads can be tested against each other to determine the most effective option for player engagement and increased revenue going forward. “The mobile game market can’t fully prosper until native ad solutions mature into native monetization tools, and it’s become our mission to focus on mobile game monetization to drive the market to realize it’s potential,” said Robert Weber, SVP and co-founder of NativeX. NativeX has partnered with more than 50 of the largest demand sources to increase global fill rates for publishers. These new partnerships are specifically targeted at the Asian, European and North American markets. More information on the NativeX ad exchange is available on the company’s website.